The tools help toolkit users identify: 1) stove designs, features, or models that appeal to consumers; 2) needed modifications to stove technologies based on consumer input and stove performance; 3) necessary consumer education on use and maintenance of stoves; and 4) marketing and financing approaches that stimulate stove dissemination and adoption. Convincing consumers to buy, adopt, and exclusively use new, improved stoves is a complex proposition, affected not only by the choice of stove but also by fuel collection and preparation, cooking behaviors, and inter-family dynamics. 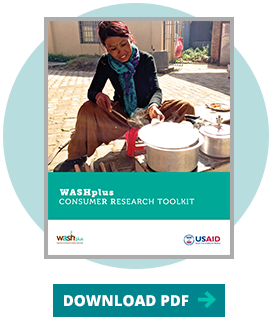 Consumer research can help develop marketing and program strategies including selecting appropriate products most likely to be acceptable, affordable, and properly used by key target groups—groups that can also be prioritized through the research process. This toolkit uses a free software package called CSPro for questionnaire management, data entry, and analysis. Files are then exported to Microsoft Excel to create graphic files. Below is the link to a Zip file with a number of CSPro files related to the various data instruments and instructions and tutorials for downloading and using CSPro. Click on the various icons and videos below to learn more about downloading and using CSPro. Household Air Pollution: What's Behavior Got to Do with It?